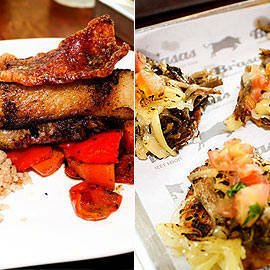 SPOT.ph did the pigging out for you to find the best roasted pig in the city. 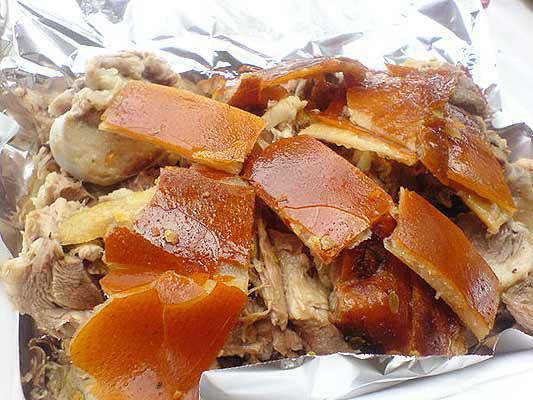 (SPOT.ph) Time Magazine named the Philippines as the place to get the "best pig" in 2009 and the famous and irreverent chef, writer and TV host Anthony Bourdain declared that the lechon he tried in Cebu in 2009 was "the best pig, ever." Undeniably, the presence of lechon at the table of any Pinoy gathering instantly turns an ordinary fete to a grand feast--the sight of a spit-roasted pig, with golden brown, crunchy skin and moist, juicy pork makes it feel like a fiesta. No wonder the late historian and famous food writer Doreen Fernandez once called the lechon the centerpiece of a Pinoy buffet. Several varieties have popped up but for this list we’re sticking to the traditional roasted lechon. SPOT.ph went all-out for pork to see which ones deserve to be on our tables this holiday season (Note: We excluded CNT Lechon and Zubuchon for this list--though widely hailed as one of the best and may be ordered from Cebu--they do not have an outpost based in Manila). The skin on Lydia’s lechon is roasted brown and is wonderfully devoid of oil. 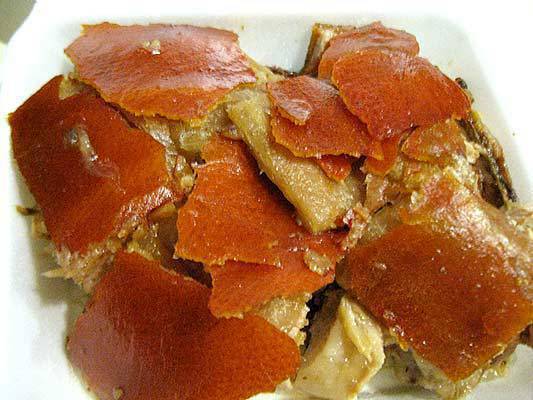 If you’re the type who likes lechon skin just a little bit burnt, you’ll love the flavor of this lechon’s skin. It has just right amount of saltiness, but it’s the kind that you have to consume right away, otherwise it might get too tough if left to sit for long. Likewise, the pork meat is oil-less, only slightly rubbery, and best eaten when dunked in thick, standard lechon sauce. Lydia’s number of branches and their accessibility also makes it easy to satisfy lechon cravings. Price: P175 (good for 3 people); P4,800 for lightweight; P5,900 for middle weight; P6,890 for heavy weight. Jun Jun's at the Bonifacio Global City is one of the places in Manila where you can get "Cebu-style" lechon and true enough, the meat is tender and moist with salt being the most noticeable flavor. In true Cebu-style tradition, it can be enjoyed without the sauce. The crunch in the skin, though, can be hit or miss-some parts are crunchy, some parts are rubbery, with a thick layer of fat clinging to the roasted skin. The skin can also get a little oily but it comes roasted in an even, nice, dark brown color. Jun Jun's also serves dipping sauces on the side: toyo mixed with vinegar and their lechon sauce with tangy flavors. Chopped lechon is always available at their Taguig and Tiendesitas branches, perfect for times you just want your lechon fix without having to order a whole pig. Not a lot of lechon makers are willing to sell roasted pig in small servings, so if you ever want a few bites, Jiro's Lechon's stall at the Salcedo Weekend Market is your best bet. 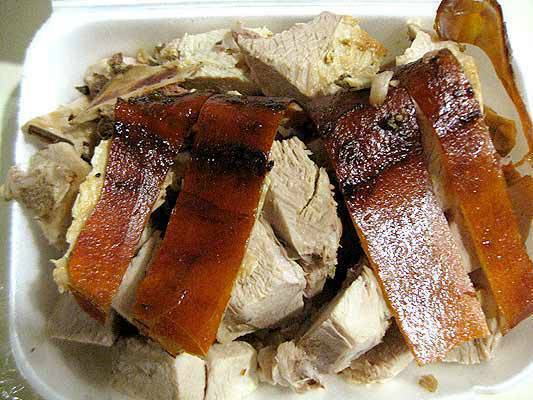 P135 buys you 200 grams of moist, tender, "Cebu-style" lechon meat, but the downside is you don't get a lot of the balat in the pre-sliced Styrofoam pack that it comes in. If you like the balat a little burnt and super crispy, you might find this one a little tame as the skin is a tad bit too thin and missing that thick lining of fat. While they say the mark of the best lechon from Cebu is how well you can do away without the sauce, Jiro's lechon sauce is a must-try: sweet, not too peppery and with just the right thickness that's perfect for dipping. 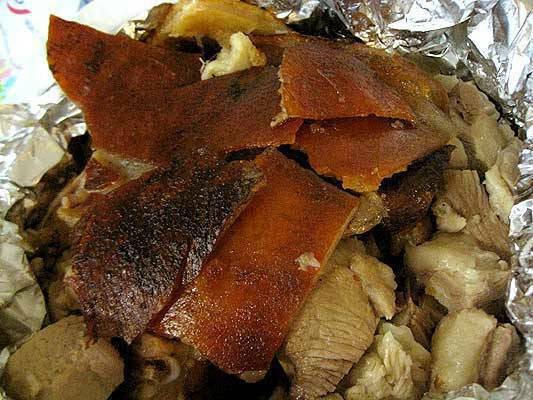 Sabroso’s lechon skin has a nice golden brown color--lighter in some portions and darker in some areas. Thin, and with a generous layer of fat hugging the salty skin, the skin on the pig we tried was less crispy than the others in this list. Still, the moist meat was among the most flavorful ones, with a strong ginger aftertaste. This lechon owes its flavor to the herbs cooked inside the roasted pig, and it can be eaten without the smooth, sweet sauce. Cris Native Lechon in Quezon City roasts their pigs "Cebu-style": stuffed and cooked with lemongrass, leeks, salt and other spices. They also brush the skin with a thin layer of molasses for a golden brown hue. While the first thing you’ll notice about the skin on their roast pigs might be the grease, this is probably what packs the flavor in this lechon. The skin is thick and flavorful with just the right amount of salt, while the meat is well-seasoned with noticeable hints of lemongrass. We suggest doing without the sauce, which might overpower the juicy lechon meat. 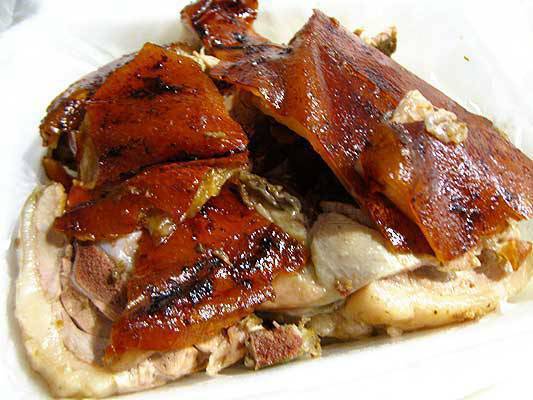 The famed go-to lechon supplier of former president Joseph "Erap" Estrada and Senator Jinggoy Estrada, Aling Loring’s has been roasting lechon since the 1960s. Aling Loring’s lechon has a nice brown color, albeit not consistent, as some parts are charred black. 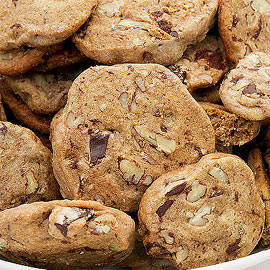 The skin--smooth and thin as a cracker--has the right amount of crunch and is easy on the teeth. Some skin parts have layers of fat clinging to it with a bit of oil. 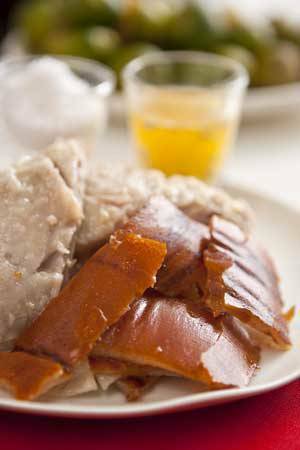 The best way to eat Aling Loring’s lechon is with your hands, which will reveal semi-moist, flavorful meat. What makes this lechon so great is how well it works with the lechon sauce, a light sweet gravy with liver and pepper flavors. 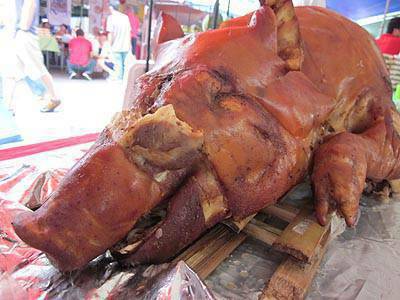 Some people like lechon solely because of the skin. 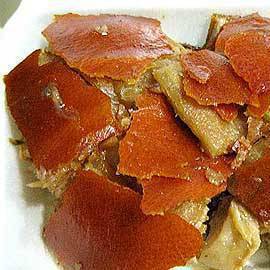 If you’re that kind of lechon-eater, Mila’s Lechon will win you over--the roast pig’s skin is golden brown in color with a thick layer of fat attached to the skin. Mila’s roast pigs retain a delightful crunchiness and crack with every bite even when the lechon has gone cold--a rarity in typical lechon. The meat is juicy, soft, and well-flavored, and interspersed with a lot of fat. The lechon sauce was a little too sweet for our taste but that doesn’t matter much since you won’t need it anyway. Roasting pigs for around 30 years now, Ulcing’s Cebu lechon has deliciously thin, evenly roasted golden brown skin that cracks easily when you peel it off the pig. Crunchy even after several hours after it has been roasted, the skin skews on the salty side and has minimal oil--a treat for those partial to crispy lechon balat. The meat is moist without being overly oily and is seasoned well, with the lemongrass flavors standing out without being overpowering. Ulcing’s also provides Mang Tomas sarsa or they can mix a vinegar sauce for you, but their roast pigs do pretty well even without dipping sauce. The skin on Elar’s lechon is a tempting sight for roast pig lovers: perfectly roasted, bronzed, and with a nice orange hue. The smooth skin is crunchy in most parts, with an oily sheen that covers the roasted skin and a thin layer of fat hugs the skin from the bottom. The moist lean meat is tender and soft, with just the slightest hint of saltiness. 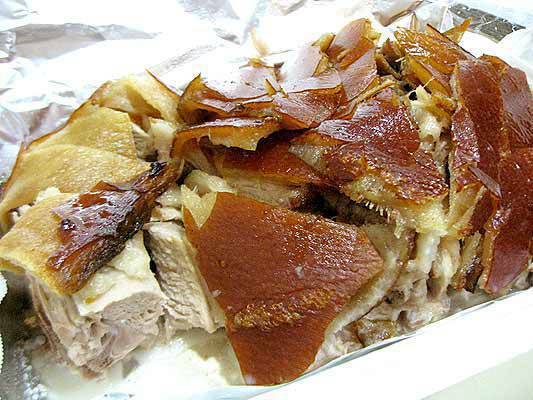 Best eaten without the sauce, be wary of the peppery dip that comes with the lechon that has a tendency to overpower the taste of the already flavorful pork. 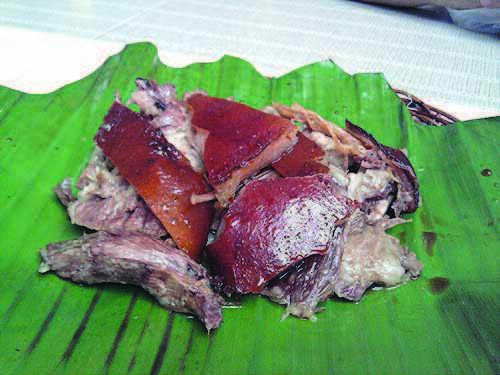 General’s Lechon, though relatively new compared to other lechoneros, has been receiving a lot of buzz from foodies. Aside from the original roasted pig, they also have lechon in garlic, curry, and chili garlic flavors. 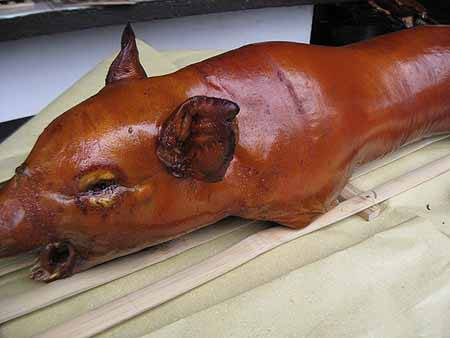 As a "Negros-style" lechon, General’s pigs have thin, crispy skin that’s easy to tear off. Crunchy and crispy, it cracks when you bite into it and the lemongrass and garlic flavors infused with the lean, moist flesh is so good, you won’t need need any sarsa.